SINGAPORE - The operators of the two integrated resorts (IR) will pump in $9 billion to build world-class attractions, which will include a fourth tower to the iconic Marina Bay Sands (MBS) development, three new hotels, a 15,000-seat entertainment arena and extensions to Universal Studios Singapore (USS). Meanwhile, MBS and Resorts World Sentosa (RWS) will be allowed to expand their casino operations, with their exclusive rights to run a casino here extended until the end of 2030. But their gambling revenue will be further taxed by the Government. In order to rein in problem gambling, casino levies on Singapore residents will be increased. The daily levy will go up from $100 to $150 from Thursday (April 4), while the annual levy is being increased from $2,000 to $3,000. In a joint statement on Wednesday evening (April 3), the authorities, which include the Ministry of Trade and Industry, said that the $9 billion investment is almost two-thirds of the IRs' initial investment of about $15 billion in 2006. "In view of the substantial investment and to provide business certainty, the Government has agreed to extend the exclusivity period for the two casinos to end-2030," they said. They added that IR operators have been allowed to expand their casinos in order for the new attractions to remain commercially viable, but that any additions will be targeted at "higher-tier non-mass market players, who are mainly tourists". If the IRs do expand their casinos to the maximum allowed, it will increase the current gaming space from 30,000 sq m to 32,500 sq m. But with the even bigger expansion of the non-gaming areas, the space taken up by gambling operations at the IRs will fall from the existing 3.1 per cent to 2.3 per cent. On Sentosa, two new areas – Minion Park and Super Nintendo World – will be added to USS. 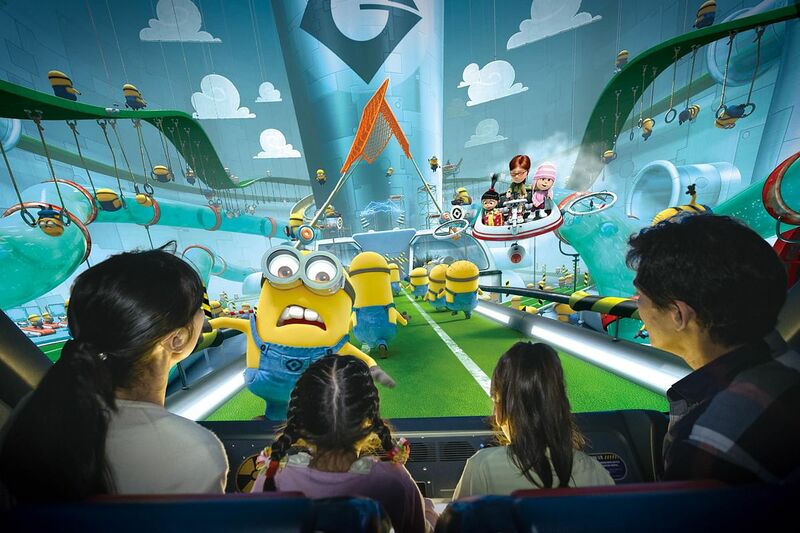 Minion Park will replace the current Madagascar area. The S.E.A. Aquarium will take over the space currently occupied by the Maritime Experiential Museum, creating a new Singapore Oceanarium three times larger than the existing aquarium. RWS said that its $4.5 billion development investment will add more than 164,000 sq m, about half of its current gross floor area. This will include a new waterfront lifestyle complex housing two hotels, retail spaces and eateries. There are also plans for an unmanned shuttle to run along the Sentosa Boardwalk, which connects the resort island with VivoCity. New experiences will open every year from 2020 until the expansion is completed in 2025, RWS said in a statement. At MBS, a new 1,000-room luxury hotel tower will be built next to its existing three towers, and have only suites. 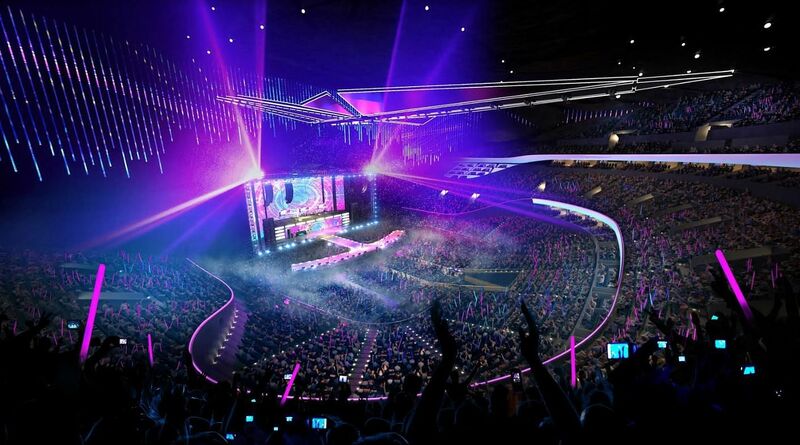 A new entertainment arena optimised for concerts is also being planned, with the aim of drawing A-list artistes. MBS will also spend about $4.5 billion on the expansion, which will span about eight acres of what is currently state land. New spaces for meetings, incentives, conferences and exhibitions (Mice) will be created at both IRs. The expansions will create up to 5,000 new jobs. The IRs currently employ about 20,000, about 65 per cent of which are locals. The IR expansions will create up to 5,000 new jobs, said the statement. New spaces created for meetings, incentives, conferences and exhibitions (Mice) will be created at both RWS and MBS. A new two-tiered tax system will also kick in from March 2022. Under the new system, the first $2.4 billion of gross gaming revenue from premium gaming is taxed at 8 per cent, while the rest is taxed at 12 per cent. Similarly, the first $3.1 billion from mass gaming is taxed at 18 per cent, while anything over that is taxed at 22 per cent. If the IRs fail to meet their investment commitments, they will have to pay the higher tax rate on all gross gaming revenue. In the 2018 financial year, revenue from betting taxes, which includes casinos, lotteries and sports betting, was $2.66 billion. It contributed about 3 per cent of the Government’s total revenue. On the concerns that the increase casino space may lead to more problem gambling, Trade and Industry Minister Chan Chun Sing said that although the problem has not worsened, the Government is nevertheless wary of the dangers. "While the IRs have been successful on the economic front, we have also been closely monitoring the potential social impact of the gaming segment," he said. According to a survey from the National Council on Problem Gambling, the probable problem and pathological gambling rate has decreased from 2.6 per cent when the IRs first opened in 2010 to 0.9 per cent in 2017. Beyond the higher levies, the two IR operators have also agreed to work with the Ministry of Social and Family Development to study how to help gamblers make more informed decisions on how much to gamble. IR employees will also be trained to spot gamblers at risk of developing a problem, and refer them to help. Mr George Tanasijevich, president and chief executive of MBS, said that the IR recognises the policy considerations behind the increased entry levies for locals and casino tax rates, and accepts "these are changes that need to be made".